Shortened Day of Fishing Still Results in Lots of Lakers! 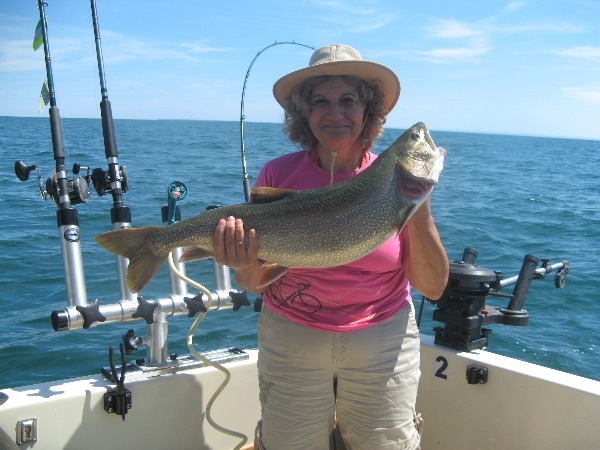 On Tuesday, Aug. 9th, the Doug Fralick party which consisted of Doug, Lynn, Lorie and Jake boarded the Milky Way to fish on Lake Ontario. 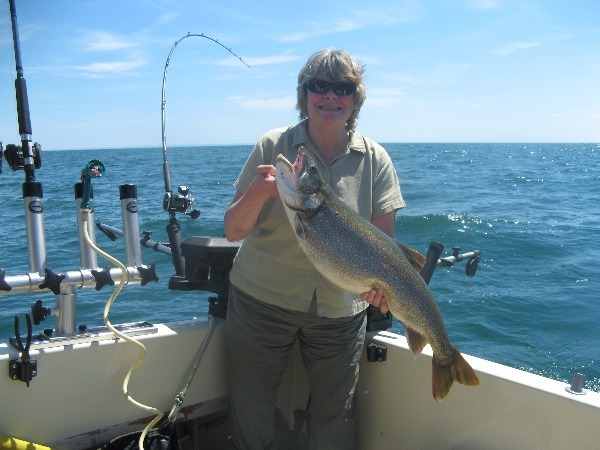 Although a bit rough on the lake, the fishermen and women managed to catch their limit of 12 Lake Trout. The party seemed to have fun fishing and toughed out some rough afternoon seas for another successful day with Milky Way Fishing Charters! Good Times and Lots of Fish for the Heuvelton Boys! 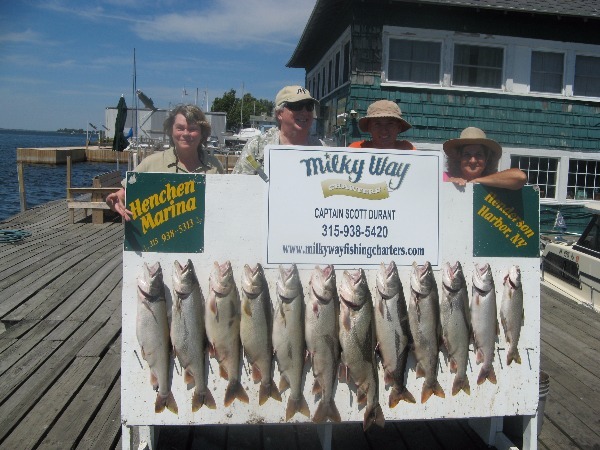 On Sat., July 30th, the Dave Liscum party of six boarded the Milky Way for a fun day of fishing. 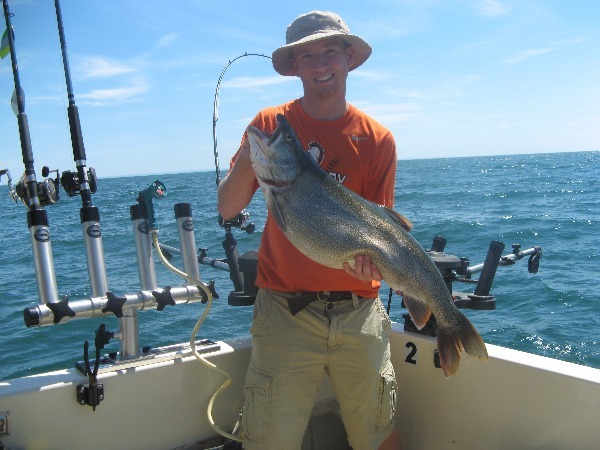 The boys from Heuvelton not only knew how to have a good time, but how to fish as they caught their limit of Lake Trout along with a couple of Kings running in the 10-12 pound range. A Pair of Kings Trump the Day! On Wednesday, July 20th, Al Montanino returned to Lake Ontario again this year, with his grandson, Johnnie, to fish aboard the Milky Way. 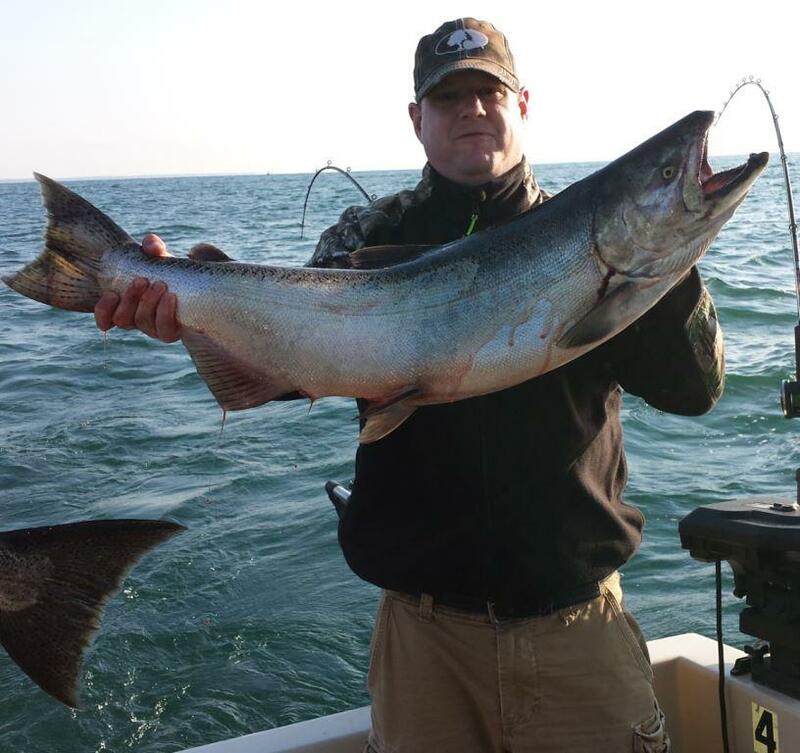 The day started out perfectly with the first catch of the day being a big King Salmon by Al's grandson, Johnnie.